 If you agree with removing the archaic and dehumanizing slavery language from our Colorado Constitution. Join us to make it happen! We Coloradans have the opportunity to be the 1st state in our nation to remove this deeply offensive language from our Constitution. Bryant Harris, President and CEO at Harris Data Solutions, Inc.
and individuals fighting for human dignity and justice by removing slavery from the Colorado Constitution.